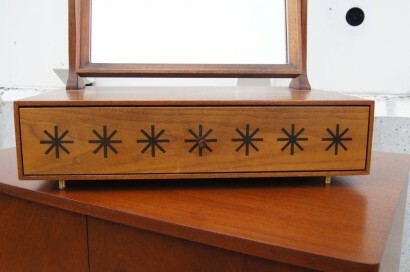 Kipp Stewart designed this rare tabletop vanity for Calvin Furniture’s Directional line. 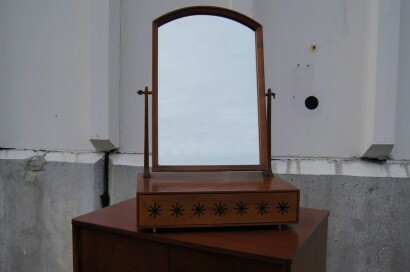 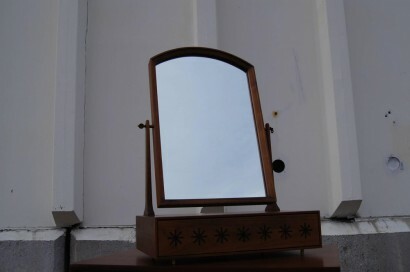 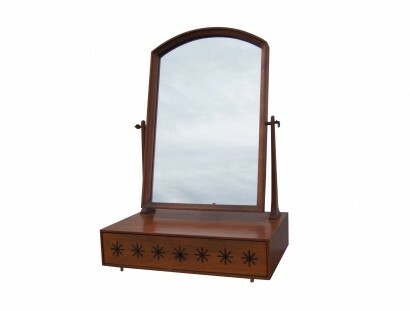 It comprises a walnut frame with a single drawer below a swiveling vanity mirror. 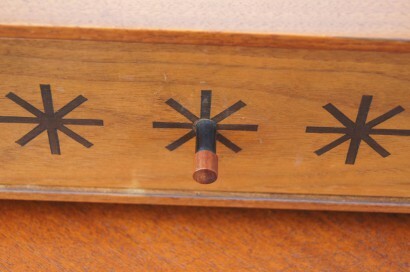 The drawer front features seven inlaid asterisks. 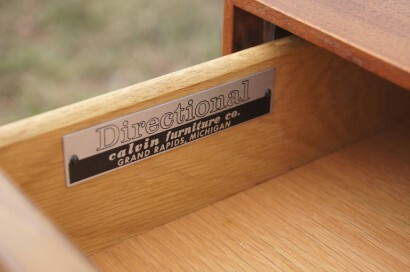 The original manufacturer’s label is intact in the interior of the drawer.